Since origination of the conceptual project, characterized by dematerialization of art and the combination of artistic practice with theory, contemporary art increasingly strives for interdisciplinarity by overcoming its own limits, absorbing alien practices and strategies and crossing over to new territories. Attracting new possibilities of expression and participating in various spheres of human activity such as social criticism, science and education within the framework of the general cognitive process, today’s art speaks about the most relevant problems of the modernity. 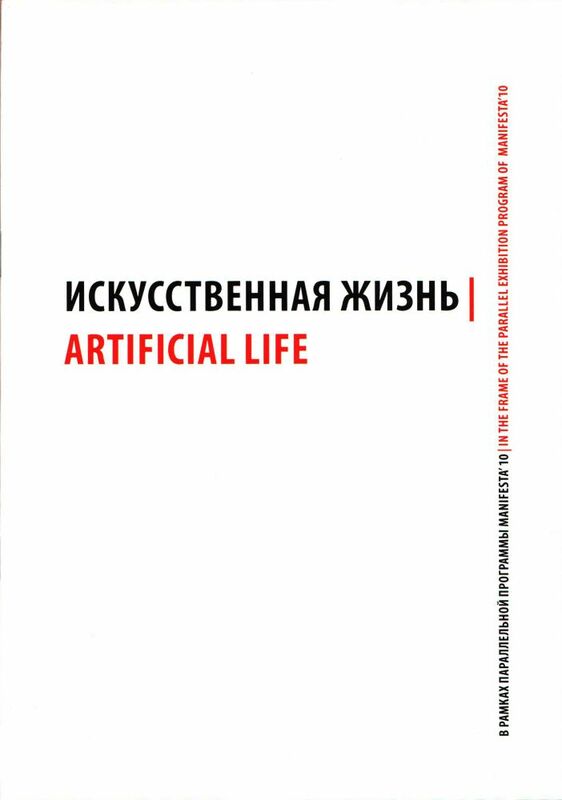 “Artificial life” project covers visual explorations based on the principles of combining humanitarian and natural sciences, biological and digital worlds, sociology and mathematics. The swiftly changing reality, in which we exist, poses new problems for art – to evolve in step with the changes taking place in the society it is necessary to establish communication with different forms of cognition and criticism within and beyond the art field. Such state of art reflects quite well the hybrid reality aspired after by the humanity. Manifested in terms of behavior, evolution and mutation and continuing to be a mystery for science, fundamental life processes are recreated in artistic artifacts. 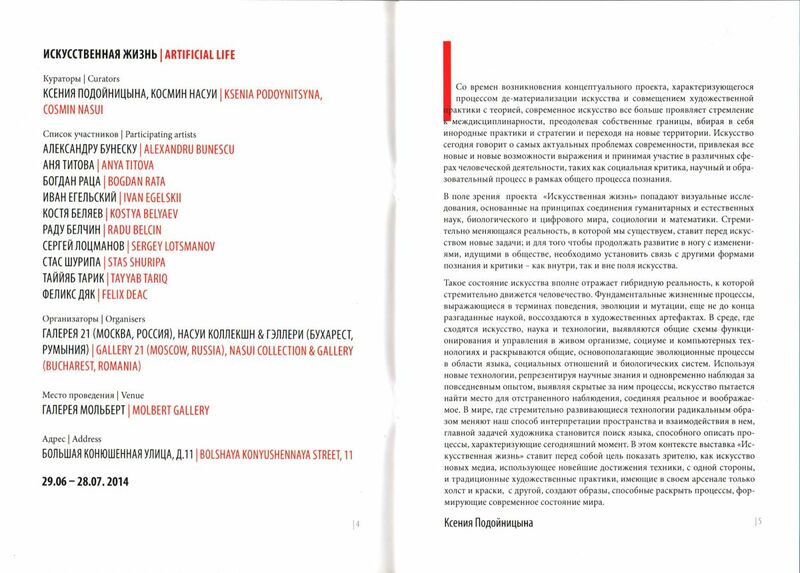 Art, science and technologies meet in the zone that reveals general functioning and operating schemes in a living organism, society and computer technologies and discloses basic evolutionary processes in language, social relations and biological systems. While combining real and imaginary, art tries to find a place of detached observation by using new technologies, representing scientific knowledge and by simultaneously monitoring day-to-day experience and uncovering the processes hidden behind it. The artist’s main task becomes a search for the language capable of describing the processes characteristic of today’s moment in the world, where rapidly developing technologies change our way of interpreting space and interacting in it. 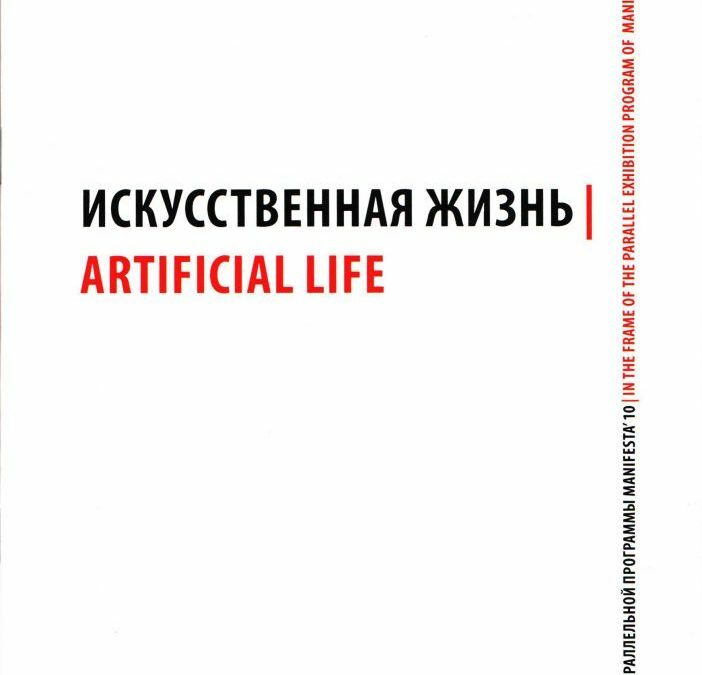 “Artificial life” exhibition in this context aims at showing the audience how new media art creates images able of exposing the processes behind modern world condition using state-of-art technology on one hand and traditional artistic practices armed with only canvas and paints on the other.